Critics of Mitsubishi’s popular Pajero find the joke is on them. Venerable Japanese manufacturer, Mitsubishi, had an admirable plan when they launched their high specification 4WD at the 1981 Tokyo Motor Show. The name ‘Pajero’ was applied to the new vehicle, drawn from a small South American feline (Leopardus pajeros) that darts spritely amongst the high pampas of the Andes. Attracted by the allure of the svelte little predator, the marketing team unfortunately didn’t look at every popular use of the word and very soon the Spanish-speaking markets were rolling on the floor at the Japanese ineptitude. 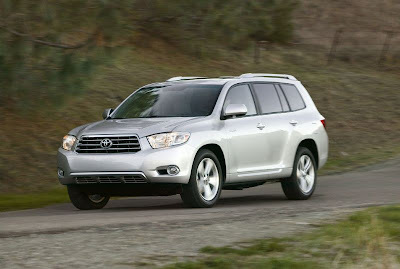 American and Spanish markets now refer to the Pajero as Montero (mountain lion) and the UK market as Shogun. Now in its fourth generation, the new NS Series introduces enhancements that maintain the vehicle’s market respect despite continued unkind references to that famous nomenclature faux pas 25 years ago. Australian 4x4 Magazine recently awarded the new diesel Pajero '4X4 OF THE YEAR' when stacked up against finalists that included Touareg, Prado, Mercedes-Benz and Jeep. With so many ‘almost’ 4WDs and SUVs on the market, it’s hard for buyers to tell when they’re getting a real off road machine. For the press launch, Mitsubishi took the notoriously hard-nosed Australian journalists to the Flinders Ranges where they tore around in typical style in the ruts, potholes and bulldust of the true outback. Our test vehicle came with the new 3.8 litre 24-valve V6 MIVEC (Mitsubishi's variable valve timing) petrol engine which produces 184kW at 6,000 rpm (a substantial 23.5% increase on the previous engine), and maximum torque of 329Nm at a very low 2,750 rpm (up 6% from 310Nm at 3250 rpm on the superseded NP Pajero). Buyers should definitely test the new 3.2 litre common-rail diesel too. The excellent 5-speed automatic with sequential shift will be the most popular option with buyers, but traditionalists can still opt for the fully synchronised 5-speed manual. 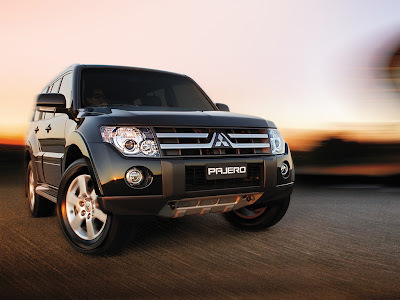 Pajero's 4WD system can be engaged and disengaged whilst driving at speeds of up to 100km/h. It includes 2WD high range, 4WD high range, 4WD low range, and 4WD high and low ranges with locked transfer. Safety systems include ABS with EBD (Electronic Brakeforce Distribution), Active Stability Control, and six airbags - all available on the base model. Also of note is Mitsubishi’s decision to reintroduce the once popular 3-door, short wheelbase variant to the range. In summary, the new NS Pajero is a totally creditable development of the already respected Pajero model. Buy it for genuine off road ability, as it presents one of the best value packages on the market. As for the elite SUV poseurs, you may just have to eat those words.